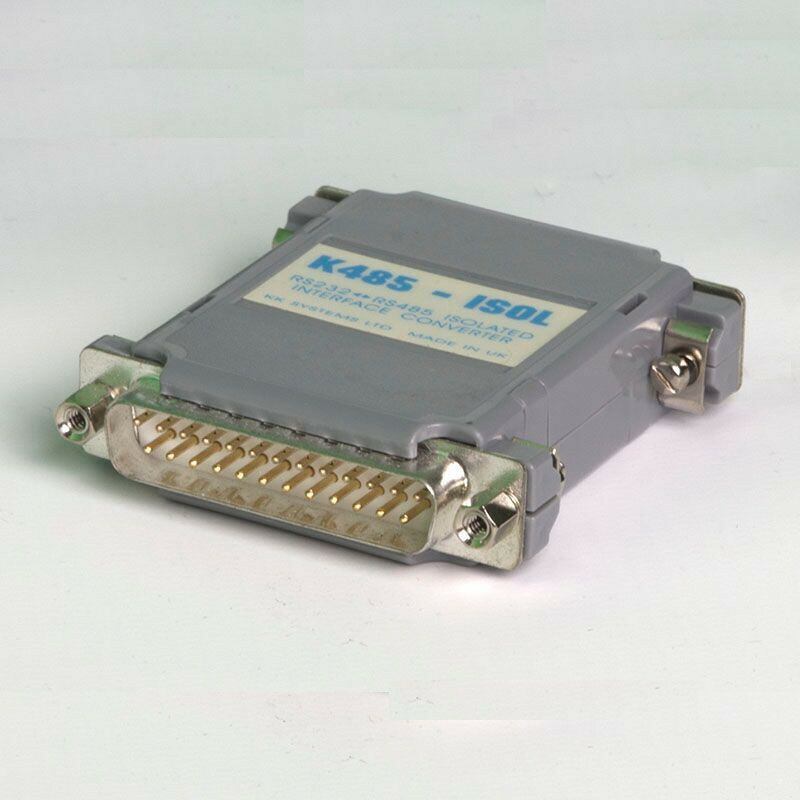 The K485-ISOL is an isolated RS232 to 2-wire RS485 converter for 0-38400 baud. The RS232 port is DB25 female. The RS485 port is DB25 male. The K485-ISOL is an isolated RS232 to 2-wire RS485 converter for up to 38400 baud. Do not confuse these isolated models with imitations which claim to be self-powered but which in fact require power to be supplied to both sides of the converter, or which require about 40mA - far too much for any PC interface to supply.